Channels are created to house or group together a Brand or Vendors content. 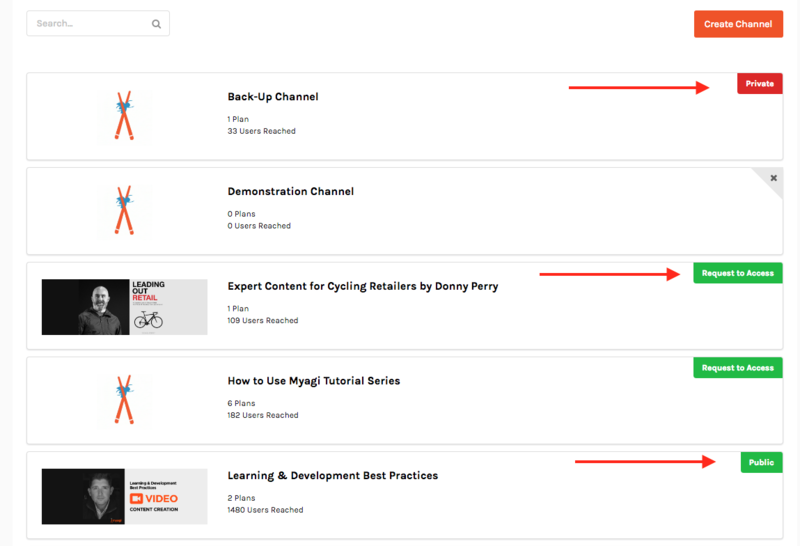 Within a channel a user will find the lesson plans the are available to whomever has been granted access to that channel. Channels, when created can be set as public or private. A public channel is open for requests from whomever discovers it (see 'discover feature'). When a connection is made after 'following' a brand or vendor, the user will see the available channels from that brand or vendor. The user can then request access to the channels that contain the needed content.